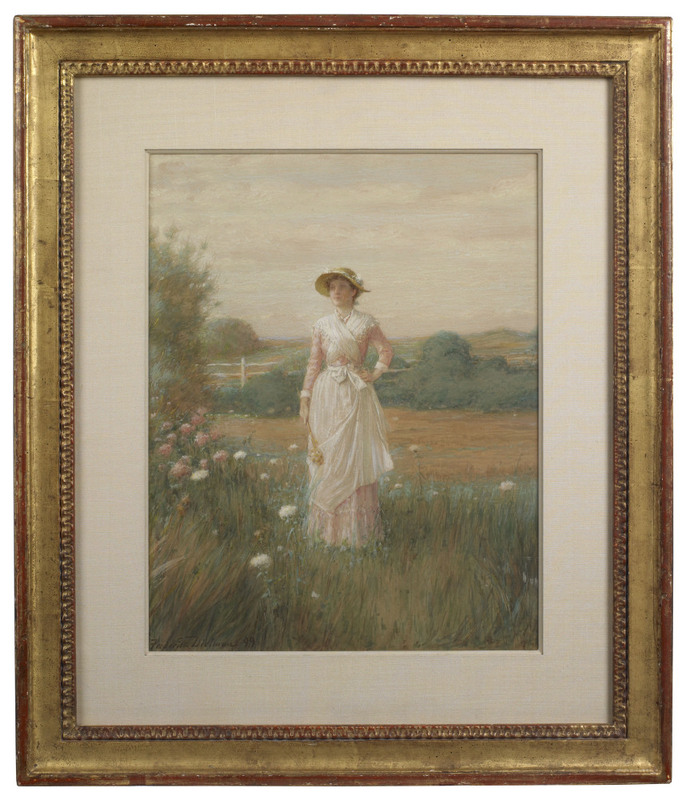 "Young Woman in a Field of Flowers" Signed, (l.l. 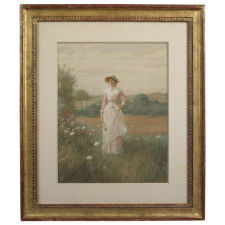 ), "1899" Watercolor with touches of Chinese White 15 3/4" x 12" Excellent condition Provenance: Ex Hirschl and Adler Gallery This watercolor exemplifies Dielman's work as a highly skilled portrait painter. His rigorous academic training both in German and American earned him great respect among his peers. Dieman was a founding member of the Society of American Artists in 1877, and was a member of the National Institute of Arts and Letters, the American Watercolor Society, The Salmagundi Sketch Club, the Etching Club, the Mural Painters, and the Tile Club. He was President of the National Academy of Design from 1899 to 1909 and President of the Fine Arts Federation of New York from 1910 to 1915. Measurements 15 3/4" x 12"